Creating dazzling smiles that last a lifetime! Live your life the way you want to with Invisalign! Orthodontic treatment for all ages! Revolutionary services with state-of-the-art technology! Schedule a FREE Complimentary Consultation Today! Dr. Iwasiuk's interest in orthodontics started during his residency at the Children's Hospital in Seattle. He received his Doctor of Dental Surgery from the University of Toronto and orthodontic certificate from the University of Rochester. Dr. Iwasiuk attends education courses to stay at the forefront of new techniques and technology. He is an Invisalign Elite provider. 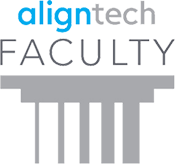 As an Invisalign faculty member he frequently lectures about this revolutionary treatment. Thank you for visiting the website of Discover Orthodontics, where we provide orthodontic solutions to suit your individual preferences and needs. Conveniently located in Brampton and Burlington, Ontario, Dr. Bart Iwasiuk and his staff look forward to creating beautiful smiles that will last a lifetime! We provide exceptional early orthodontic treatment to correct any upcoming problems. Adult orthodontic treatment will not only result in an attractive smile, but it can also correctly align teeth to provide ideal jaw function. A modern alternative to traditional braces, the Invisalign® system straightens your teeth using a series of clear, customized removable appliances called aligners. No one will notice you are straightening your teeth unless you tell them! View our brochure to learn about our Invisalign Guarantee! To capture crisp, clear images of our patients’ teeth, we use a digital radiography system that releases 80% less radiation than traditional X-ray machines. To create the most precise models of our patients’ mouths, we use the iTero Digital Impression System. These models help us diagnose and treat your orthodontic problems. In our office, we only use self-ligating braces to allow for more comfortable tooth movement, longer intervals between visits and shorter office appointments. We use the Damon® System, the first self-ligating bracket system which utilizes lighter wires and lower friction brackets. Providing quality orthodontics to Brampton, Mississauga, Caledon, Burlington, Oakville, Waterdown and all surrounding greater Toronto areas. Invisalign straightens your teeth without wires and brackets, using a series of clear, customized, removable appliances called aligners. It’s virtually undetectable, which means hardly anyone will know that you’re straightening your teeth. Invisalign is an ideal treatment option for teens and adults. We take great pride in providing high-quality orthodontic care by using the most advanced technology available today! We are proud to utilize a high-resolution digital radiography system and an innovative digital impression system, for the convenience and comfort of all of our patients.